At Upton Gardens, you will find a number of eco-friendly features, from high thermal performance glass throughout, helping you stay cool in the summer and warm in the winter to an on-site energy centre which generates efficient energy for the development, meaning you will pay less for your energy bills. Not only that, you will also find 64 different electric vehicle charge point and eight car club vehicles for you to use. You will find storage for over 1,000 bikes and the surrounding areas benefit from good cycle links to central London. Prices from £115,500 35% share of £330,000. 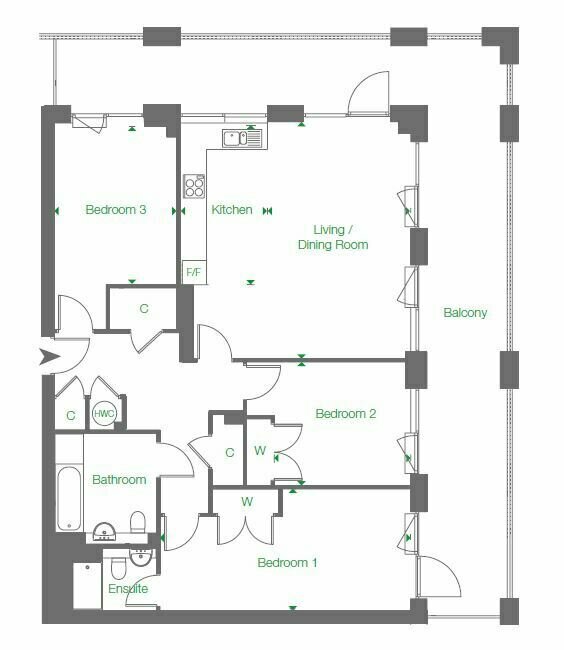 A collection of 1, 2, & 3bedroom apartments available for Shared Ownership. The stunning new Upton Gardens development has been built on the former historic stadium of West Ham Football Club. Situated in Upton Park, the London Borough of Newham, this famous location was home to the club from 1904 before it relocated to the Olympic Park, Stratford in 2016. This truly is a once in a lifetime opportunity to secure your piece of British sporting history. Upton Gardens comprises of 842 one, two, three and four-bedroom homes. The development has been designed to maximise green areas, with all homes including private outdoor space and access to communal gardens and landscaping. Enjoy this modern and stylish development, offering tasteful décor throughout, contemporary kitchens, while bathrooms and en-suites boast brassware by Grohe and attractive ceramic floor tiling. The architecture of the development itself strongly identifies with the former football ground, with the layout of the buildings mirroring the layout of the old stadium. Being an Upton Gardens resident, you will not only benefit from facilities such as a concierge and a fully equipped gym, but also a large public library and cafes being built as part of the development. By 2025, it’s estimated that £22 billion will have been invested in the borough of Newham, creating over 35,000 new homes and 100,000 new jobs. Crossrail coming to the area in 2019, has only just added to the already excellent transport options at Upton Gardens, making it an exceptional location to live in. Upton Park Underground station is only 6 minutes from the development, operating the District and Hammersmith & City lines with direct links to central London. You are only 15 minutes away from Liverpool street, 16 minutes from Canary Wharf and 31 minutes from the West End.